Image Credit & Copyright: Jakob Knutsson from Falun, Sweden on August 21, 2016. See his links below. Synopsis: Saturday night, August 12, until pre-dawn twilight on Sunday, August 13 the annual Perseids meteor shower will be at its peak. As with all meteor showers there’s an estimated viewing window or, “active dates” which in this case run from mid-July to late-August. Peak viewing however is usually narrowed down to a few days or even a single night through the following morning. This year’s peak hourly rates will be around 50-75 per hour and you will want to be looking in the general direction of Perseus in the north. This is a primarily Northern Hemisphere show but the big floodlight in the night sky (the Moon) will be in its waning gibbous phase so it will rise around midnight and that will likely diminish the show somewhat for the best part of the night. Active Dates: Mid July through late August. 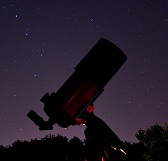 Peak Viewing: Night of Saturday, August 12 until pre-dawn twilight on Sunday, August 13. Hourly Rates: Approximately 80-100 per hour. Radiant Point: North in the general direction of the constellation Perseus. Moon Impact = Moderate! The waning gibbous moon, 78% illuminated will rise around 22:50 and remain a problem through sunrise. This will likely cut the number you can see in half. Velocity: 37 mi. (59 km) per second. Parent Body: Comet 109P Swift-Tuttle. With a nucleus of about 16 mi. (26 km) this comet is the largest known object to repeatedly pass by the Earth with the last time being in 1992 and the next pass in 2126. 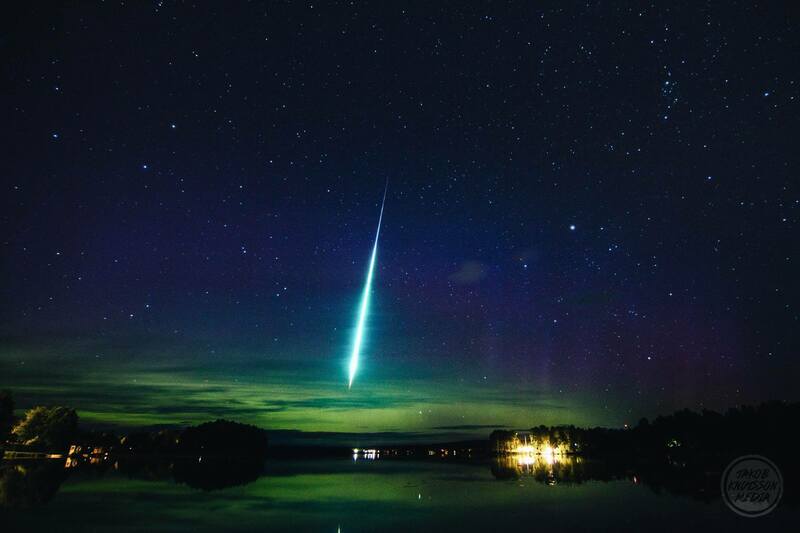 Traits: The Perseids tend to display more fireball (bolide) meteors than any other meteor shower of the year. That being said, these things are based on past performance and predicting how many (if any) there will be this time is impossible. If you do see one, look closely the moment it ends, you may see a faint smoke trail. Moonlight: For each meteor shower, I offer a Moonlight impact rating from NULL to MODERATE and MAXIMUM based on its age, phase, illumination and rise-set times. New through 1st quarter phases rarely causes any trouble as these young crescents set fairly early. Full through last quarter phases are what really cause the heartache as they are up most of the night and or rise late, impairing those peak pre-dawn viewing times. Of course, none of this matters if it’s cloudy so check the weather. Quick Moon Reference: First Quarter Moon; rises around noon which means it’s already up and overhead at sunset and sets around midnight. Full Moon; rises in the east roughly around sunset, is up all night (usually highest around midnight) and sets at sunrise. Third (last) Quarter Moon; rises around midnight, is high overhead around sunrise and sets around noon. Image | This entry was posted in Astronomical Events, Comets, Asteroids & Meteors, Images, News and tagged Astronomy, Jakob Knutsson, Meteor, Meteor Shower, Meteor Showers, Perseids, Perseids Meteor Shower, Science, Space. Bookmark the permalink.